As a child, at the toe-end of my stocking, I always found one apple and one orange--holdovers from my mother's childhood, when her own mother would stuff an orange in the toes, a twenty-year tradition from the Great Depression. Does your family still do this? Stuff an orange into the bottom of the stocking? Stuff these globes of bounty, of sunshine, of California or Florida, of a warmer and gentler clime? Even some 80 years since the Great Depression? And citrus fruits, while available year round, take center stage in the winter, when we're all convinced there are no fresh fruits to be found. This sweet and juicy cookbook by Valerie Alkman-Smith and Victoria Pearson trots out a healthy dose of citrus-inspired recipes. Sometimes the tangerines or lemons or limes take center stage (as in the recipes for Handmade Lemon Pappardelle, Cara Cara and Blood Orange Salad with Ricotta Salata, or Lemon Gâteau). Other times the citrus takes a supporting role (think Blueberry Ricotta Pancakes with Lemon Creme, Pork Chops with Eureka Lemon Mustard, or Tangerine Sticky Ribs). 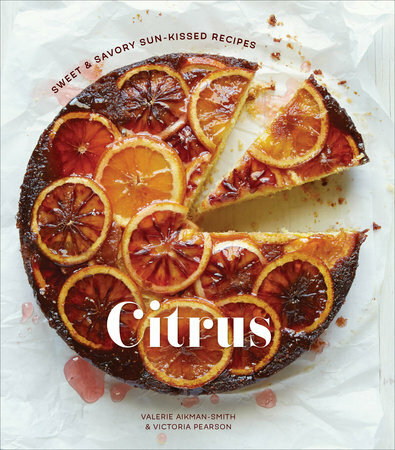 No matter the recipe though, this dainty cookbook suggests that even in the throes of winter or even late fall, there is some way to spruce up a dinner table with the brightness of citrus. 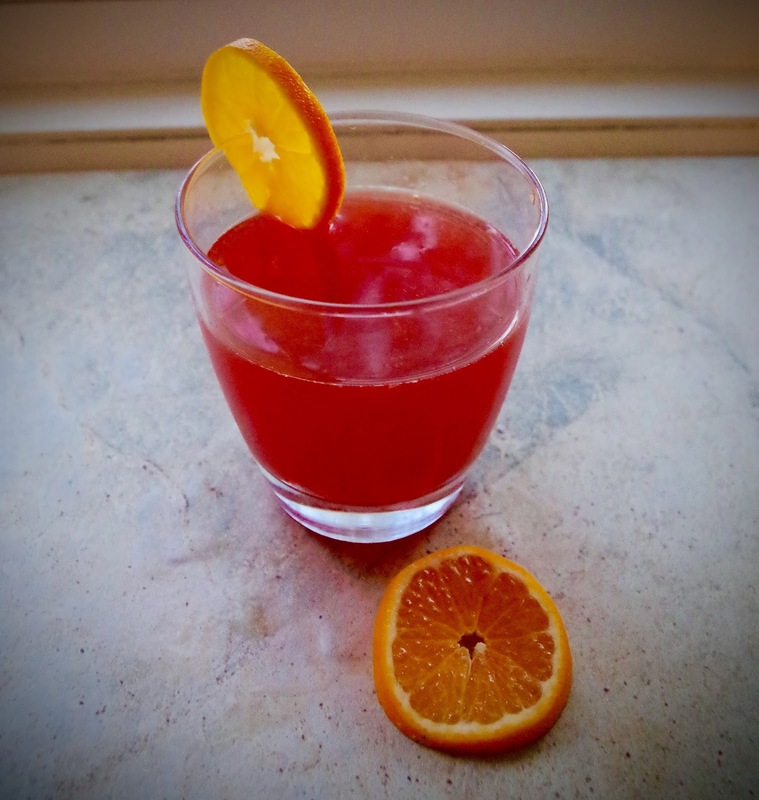 This particular recipe calls for the Page Tangerine, which is a hybrid of tangerines and either oranges or grapefruits. However, if it means waiting to make this drink until you stumble upon a Page tangerine, I say ignore that part of the recipe. I am a fan of going with whatever kind of tangerine you can get your paws on. In this case, I used the ubiquitous clementine, the Cutie. Maybe not as strong as the Page, but certainly easier to find. Now the negroni was not a drink I thought I liked until the husband and his persuasive parents foisted this sweet, bitter, and bright drink upon me a few years ago. A bit medicinal at first, this drink is a sipping, not a slurping, one. Sure you can use the 1:1:1 ratio (as seen below, and I will attest, a delightful one), but I challenge you to go 2:1:.5 (gin:Campari:vermouth). 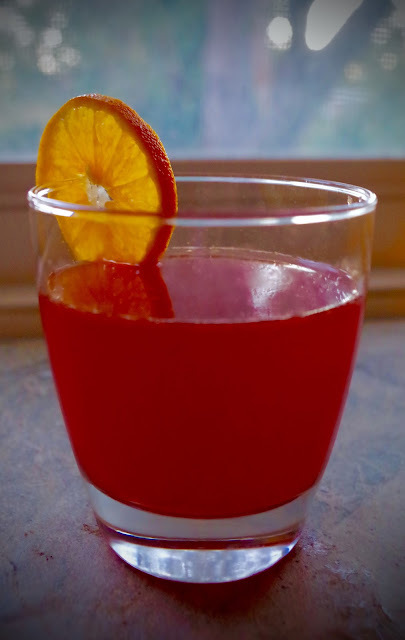 Add an equal amount of tangerine juice as to gin, and you've got yourself one heck of a cocktail. But I also say, mess around a little. See if you can find your proper ratio. Cocktail or not, the recipes in this little gem of a cookbook are worth a shot. And this dainty book is almost the size of a stocking stuffer. Perfect for perching atop all of the oranges, clementines, and lemons you can stuff into the toe of your Christmas sock. 1. Have ready 2 chilled cocktail glasses. 2. 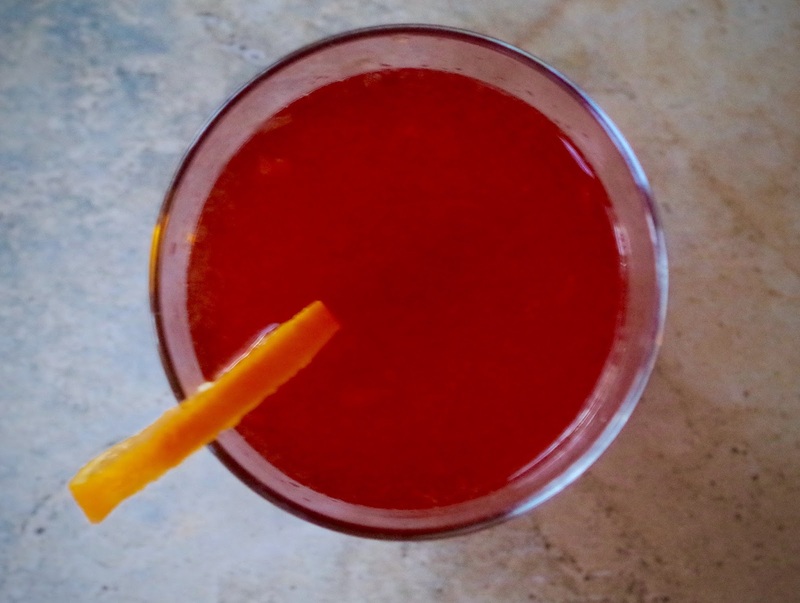 Pour the tangerine juice, gin, Campari, and vermouth into a cocktail shaker filler with ice. 3. Cover, shake vigorously, and then strain into the glasses. 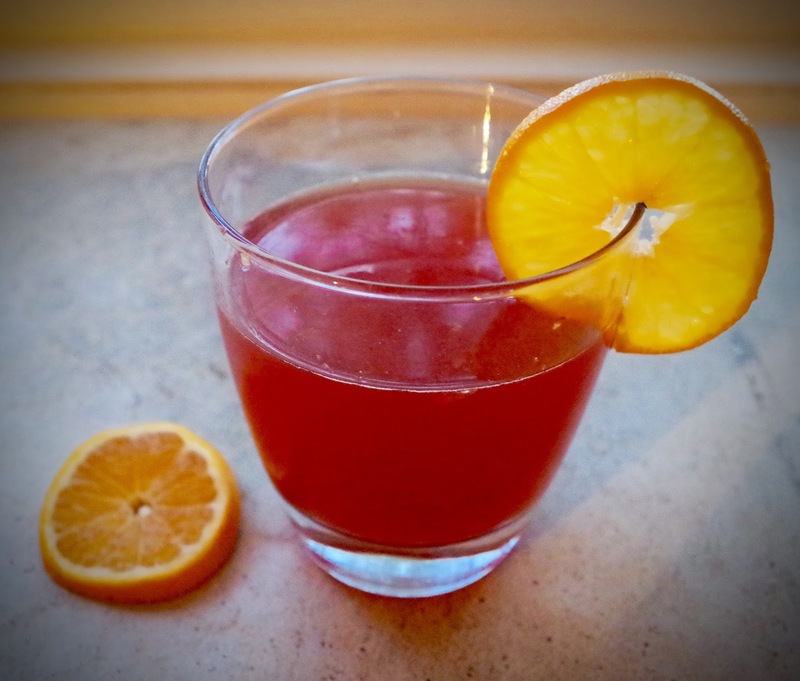 Garnish each drink with a tangerine slice and serve.